Let’s Talk About Our Free Assessment. Call — 980-819-1215, or use the form below. Describe your situation and any specifics you'd like to discuss. I am an avid tri-athlete. After a neck injury, I had seen an orthopedic surgeon who recommended extensive surgery that would have required 6-9 months rehabilitation. Care Weavers researched my injury and with their guidance, helped me obtain a second opinion from a physician who was interested in understanding my needs and goals. I had a successful less invasive out-patient surgical procedure that had me back to my training schedule in two months and competing in six. I am grateful for their expertise and services! A wrap around service like yours is exactly what we need in healthcare. Care Weavers’ coordination of the many aspects of the care continuum to support our aging community is invaluable. There aren’t enough words or accolades I could give to Care Weavers for their help with my mom. Their knowledge and expertise were only surpassed by their care and compassion. I HIGHLY recommend them. 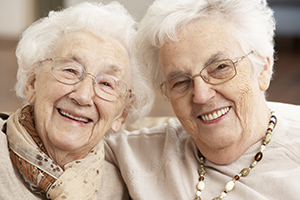 Care Weavers was invaluable in assisting me and my family when my mother suffered a stroke. I very quickly had to make numerous medical, financial and emotional decisions regarding my mother’s care needs. The Care Weavers team provided knowledgeable, personalized and expedient support throughout the progression of my mother’s illness. They researched and visited rehab and nursing facilities with me and helped make sense of quality scores and outcomes. I would highly recommend their services.